Rebecca Minkoff lovers rejoice - RM's NYC sample sale is back and does not disappoint! For some reason it always rains the first day (at least is wasn't a slushy freezing rain like last sale!) but that didn't stop me or all my fellow die-hard Minkettes :) This time I planned ahead. I packed a giant IKEA tote and several plastic garbags bags for my goods so I wouldn't have to walk around the City after the sale with broken, handle-less, soaking-wet, paper shopping bags clutched against my chest like last time. Samples were $50 this time - plus if you had the Gilt City voucher I shared on Facebook and Insta it would have been $25 :) Unfortunately they didn't have $20 clutches and wallets like last sale. We found these super-cute Zap and OMG clutches and I got really excited...until I found out they were priced $50 too so I passed on mine (she took hers anyway). Here we are fighting over the Fiona tie dye bucket bag I found - it's actually my favorite piece from the sale or I probably would have let her have it. Sorry. From what I read it wasn't even put into production so you can't even buy one at retail. Lucky me! So let me give you the rundown. Head in and go right for the sample table near the back right wall. They were replenishing all morning - but after 2 hours I finally had to leave for my haircut or I probably would have stayed all day LOL. If you haven't been yet it may be worth a trip first thing tomorrow morning. After the samples, step back and check out the smaller leather goods all priced $25-125 (prices were based on the retail - see chart) before stopping at the shoes in the back. Retail was $175 so this pouch was $75. All flats and sandals are just $50 (heels and boots are $100) - a significant decrease from past sales. They had a few pairs of shoes/boots on the sample table but they were all size 7 and also $50. 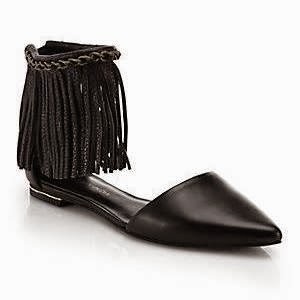 I scored these $50 fringed Faith flats that are currently retailing at Saks for $250 and Nordstrom for $150.75. For anything else I would wait for markdowns towards the end of the sale. As always the clothing was slightly overpriced (price-points were $25-200) and not very exciting. Leather for $200 was decent but I typically do better at the Rack. They had a nice selection of bags but unless it's a sample you know I'm not really looking at it. Shira kept grabbing stock bags and I made her put them all back LOL. For the most part bags were $125-$405. Sale is on now thru Saturday :) Fingers crossed for more samples and/or markdowns! Monday, April 20th through Saturday, April 25th. Mon 11am-8pm, Tue-Fri 10am-8pm, Sat 10am-5pm. 260 Sample Sale, 260 Fifth Ave between 28th and 29th streets (212-725-5400). When I entered Bumble & Bumble, post sample sale, I looked like a drowned rat lugging a giant Ikea bag and that was the last straw. My hair had to go. I wanted it to be longer in the front than the back but I'm not sure it's as angled as I'd hoped but I love it. I'm so glad I chopped it off. 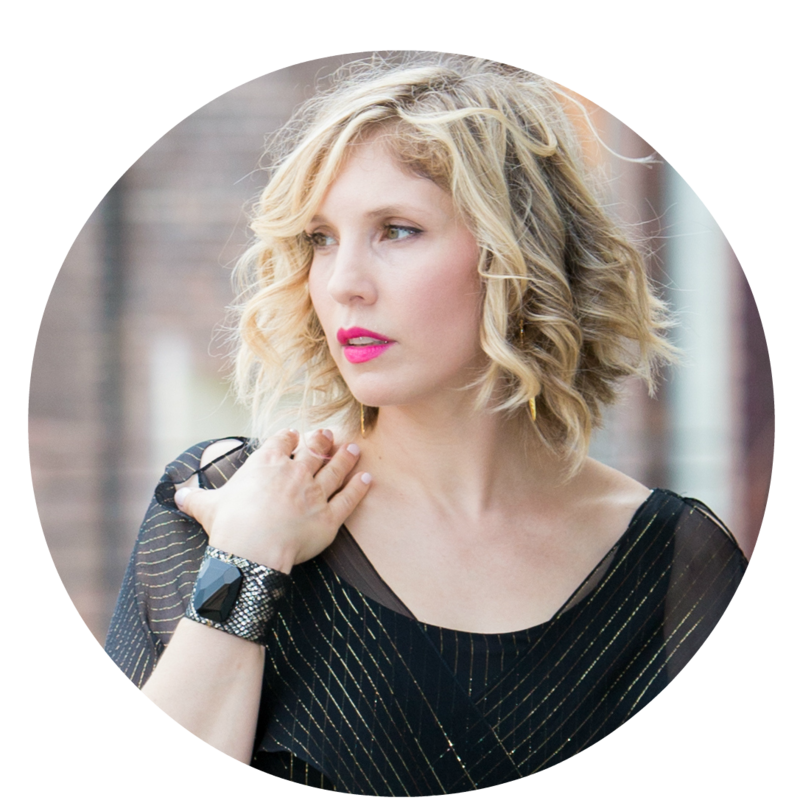 I've been a hair model all over NYC for years and with Bumble & Bumble for over 10 years. This is probably my favorite cut to date. To sign up to be a model go to their website - and please be sure to use my name as a referral (Michelle Blashka). What I love about this program is that it's completely free (and no tipping!) PLUS once you're in the system all you do is email for the next available cut. They do styling and color too, but they are my go-to for free haircuts. Thanks - I'm so glad I did it. When I was lugging my stuff home after my hair didn't get stuck under my bag straps and I felt so free LOL. And I told you so! It's so easy to get caught up in the excitement - if you're going to get stuck with something it's always better for $50 than $150 :) Glad you're mom loves them. Let's hang/shop soon! LOVE THE CUT!!! Looks really amazing!!!! WOW! I can only imagine that this was pretty close to Heaven! How fun! Wow! What a great cut! Love it! Ahh I wish I lived in New York! I've been wanting that pink mini Mac that's in one of your photos! Love the new haircut! Thanks :) Check your Rack - last year I got a hot pink mini 3 zip refurb for less than $50! Your hair looks great. Wonder if I'll have time to go to the sale today. Not that I need more handbags... But I don't own any RM. love your finds.